If we had to give a brief definition of the city under socialism, we might say that it is a sustainable human settlement with a life project planned and carried out collectively. If we wanted to flesh out this definition with some descriptive characteristics, we might add that it should be a city for productive work, a city for culture, recreation, and the enjoyment of nature, a city for politics and human relations under socialism, a city for equality in democracy, a city where one can live well, with freedom and dignity. The following are some hurried notes on each of these characteristics. 1. It Is a City for Productive Work. This means, in the first place, that it would have a general production strategy which would allow it (in Mao Zedong’s words) to rely on its own efforts. Consequently, it would be in a position to produce enough wealth for its inhabitants, both for them and for necessary exchange with other cities and economies. If this becomes true, the city under socialism will not, as far as everyday matters are concerned, live from national income, but, basically, from the wealth it is able to produce. The portion of national income which is its share would be used, instead, to carry out those national programmes that are implemented there. Since it is a socialist city, it will of course rely on a plan that does not allow unemployment. On one hand, it will have enough opportunities and jobs for its adult population, and on the other, it will have educational programs and job-preparation programs depending on the work to which the city devote itself. Since each city has its own personalized, different economy, depending on the path it has followed and its location in the country, the planning for and forecasts of the spaces destined for the production of goods and services would be established according to these differences. This would include the big and small companies and cooperatives and could even encompass the way families are organized for work. In other words, in each case, planning would be as detailed as it can be. If this is the way things are, the city would inevitably have industrial areas where large and medium size factories and workshops could be located. The location of these areas would be decided on using not only functional criteria but also environmental ones, and would take into account wind circulation, access systems, waste disposal plans, draining, and other kind of conditioning factors. When it comes to housing clusters, which are the city’s muscles, these would be designed in such a way as to facilitate community organization for productive work: for example, the ground floors in 4 or 5 story blocks could serve as workshops for production, business, and services. In any case, the buildings and environments for work would be planned in such a way that they would not contribute to worker alienation nor make their work thankless. This would be not only in terms of hygienic and functional conditions but, in addition and most importantly, in terms of the architectural quality of the spaces, their dimensions, their relation to natural light and surrounding vegetation, with ventilation and adequate lines of sight. At the same time it is envisaged that there would be areas for activities that complement work. For example, and since we are talking about a socialist and participatory kind of production, when the spaces for work are planned, places for education in production and for self-management meetings would be included. As for commerce, rather than encourage its concentration in malls, whose raison d’être is the over-the-top cult of consumerism, the city would tend to integrate commercial activity into open public areas, pedestrian streets, markets and little markets, differentiating, as far as possible, neighborhood-type commerce from that which has a certain urban scale. Another aspect this city would take into consideration is zoning. When doing so, it would not opt for the concept of separation of functions but rather aim for their relative integration in order to achieve a more dynamic and heterogeneous city. This means, among other things, that housing clusters would be intermixed with and enriched by work and service areas. thus getting rid of the idea of developments that are purely residential and also putting an end to the concept of urban administrative centers that are dead and desolated at night. In a word, all of this means that socialist, communal, and community organization for work, by nature different from that offered by capitalism, would therefore require different urban development conditions. But work and production would extend beyond the built-up area. There would be an area outside the city which we could call the extra-mural city and which would serve as an area for both production and protection. This means that a belt of communal land for farms and market gardens producing for the city’s own consumption would be created. The size of the belt would be determined by the city’s needs but in no case would it be less than twice as big as the built-up part. 2. It Is a City for Culture, Recreation, and for the Enjoyment of Nature. To expand on that, the socialist city would be a city for art and recreation, for traditions and innovation, for memory and dreams, for sport and recreation and for pleasure in harmony with nature. In this sense, it would be of primordial importance to prize the quality of the architecture and the shapes and spaces in the city. This city would make use of aesthetic notions and would care about its own appearance. It would accept no ugliness nor the kind of deterioration which results from apathy. It should be noted that if the city recognises the importance of the quality of its buildings and public spaces, it would do so both in large scale urban places and in the small scale nooks and crannies and would even reach into the domestic sphere. It would care for what some call the fifth façade (roofs), which can be seen from any height. Thus it would decree that roofs should not be sorry places for dumping things nor disorderly environments for improvised building. A city that made creation a vital issue, would also incorporate pieces of art and monuments in every corner of the urban landscape. Indeed, it would integrate art into its very life and make it something normal. It would also care for and prize its symbolic components. But, of course, culture doesn’t end there. To foster cultural life in the usual sense of the term, the socialist city would be endowed with all the institutions and facilities it needs, and there would be enough of these. It would absolutely not be content to leave this responsibility to market forces, which, by the way, would be completely minimized in the socialist city. Just as it would have facilities for culture, the city under socialism would be endowed with spaces and facilities for playing formal and informal sports and for leisure and recreation in open spaces. The city would bestow a kind of ludic character on itself. For example, it would include paths for runners and cyclists. Its structure would also include gardens, walks, and parks of all different kinds, both for contemplation and tranquillity and for mass use. But nature would not only be integrated into open spaces, but also into architectural design which would take all possible uses of land and vegetation, open air, controlled shade, and natural light into consideration. And so that all these things might be possible, the city would develops a culture of maintenance and collective responsibility. 3. It Is a City for Equality. So that this equality may be guaranteed when it comes to the way of life, the city under socialism would be completely balanced from the point of view of its urban structuring. It could have one or several centers, depending on its size (centers being understood to mean the vital and symbolic places for meeting and talking), but in any case all the parts of the city would be given a dignified urban development treatment — this means that a person who is in the city feels that she is inside an integrated structure, which has a series of sufficient qualities, with the understanding that although zones may differ from one another depending on their location, they should not be different in terms of quality of life and availability of essential services. A city that has balanced urban development planning would not, therefore, allow its inhabitants to be segregated by social sectors. It would not be differentiated into “barrios” and “residential districts” nor anything like that. Neither would it allow marginal zones or zones that have a lower urban standard. 4. It Is a City for Politics and Human Relations under Socialism. This is why it would assign importance to open spaces, spaces for collective use, both in areas where people live and in urban centers. The streets, paths, avenues, squares, roofed squares, boulevards, parks, gardens, atria of buildings would be of high quality in conception, design, and maintenance. The city would take care to see that they are used as efficiently and with the highest quality possible. A city under socialism would not have forbidden places, nor controls, nor sentry posts, except for those that are in institutions that, because of their nature, require them. The city would be free to everybody. And pleasing in every last corner. An important aspect of this city would be the way housing is organized in clusters which would make community living easier. Of course, there would not be just one kind of cluster, since the city’s charm would also be derived from the variety of types, but whatever these forms of typologies of housing might be, they would always meet this requirement: fostering community life, local life. Therefore, there would be no private ownership of land. In this city it would have been established from the outset that land belongs to the state or in any case to the city. Those responsible for its administration would in all cases be the communal councils. According to this concept, the base community of each communal council would have its urban territory and its public, open-air meeting place clearly defined. This is very important. Especially if, as should be the case, the point is reached where a law is passed stipulating that the highest government authority in the city is an assembly of communal councils and the mayor elected therefrom. The grand strategies would be designed by the communal government of the city. In every case, the communal council would set the framework for these strategies, the direct and detailed treatment. A very important aspect concerns how the government should be constructed in the city and what its nature should be. This edifice would be adapted, both spatially and formally, to this concept of collective government and would facilitate a permanent relationship with citizenry who, when it comes down to it, hold supreme power in the city. 5. It Is a City for Living Well and with Dignity. This can only be achieved by a city whose urban structure is based on the principle of absolute respect for the circumstances of each and every one of its citizens. Therefore, this city would give priority and preference to pedestrian traffic and would ensure the conditions for it were optimum. It would be a city to be strolled through and enjoyed in all of its nooks and crannies. In order to make it easier to be a citizen on foot and to reduce the negative and overwhelming impact of public transport, the latter would be organized as a system and not as a hodgepodge of private independent units (which is the actual state of affairs in Caracas and which is a source of chaos and pollution). Basic services (health, education, work areas, commerce, and recreation) would be located in such a way that they would be in walking distance from the residence of any of the city’s inhabitant. For example, children would walk to school, and adults to shops, medical services, and even, in many cases, to their places of work. The city would be based on an ecological, environmental vision in the way it is designed and functions. It would be, therefore, a city that doesn’t pollute very much, it would have clear criteria for using solid and liquid waste, and (this is very important) it would be planned so that energy is rationally used. Since this would not be possible without the incorporation of new technologies, the city would be up-to-date on the how to use technology to improve urban life. Neither would this city accept any kind of visual pollution like that created by the abusive and indiscriminate use of commercial advertising. This type of advertising on huge hoardings would be completely banned from city spaces. Because it would be democratic and inclusive, the city would make sure that the needs of children, the elderly, and the disabled are not left out of this concept of “living well.” Every city should always pay attention to the comfort and pleasant living conditions of these sectors of the population. For the purpose of keeping tight control over its quality of urban life, the city would place limits on its growth and keep protected green areas consisting of woods, parks, and agricultural zones where no building would be allowed. To this effect, the city would be a territory which grows by rings and in no other way. Only when a given ring is sufficiently densely populated would the next ring be allowed to be developed. And finally, this city would be endowed with an amazing information system. And the signage would be of high quality and adapted to a human scale. So that all of this may be possible, especially the parts about spatial and architectural quality, pedestrianization, rational services, the possibility of having proper maintenance and economic sustainability, this city would be developed on a model of high and medium density and low height. Some have considered this to be a perfect formula. 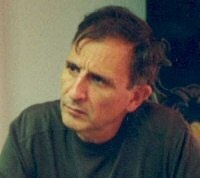 Farruco Sesto, an architect and poet, is the Minister of Popular Power for Culture of the Bolivarian Republic of Venezuela. Translation by Janet Duckworth.